Why Scientists Think Salvia Could Lead To Medical Treatments : Shots - Health News Salvinorin A activates something called the kappa opioid receptors. When turned on, opiod receptors are responsible for the high you get from drugs like heroin and opium. The type affected by the chemical in salvia could help modulate mania. The humble salvia plant has drawn attention from pharmacologists, both recreational and professional. A few weeks ago, I wrote a post about Salvinorin A. 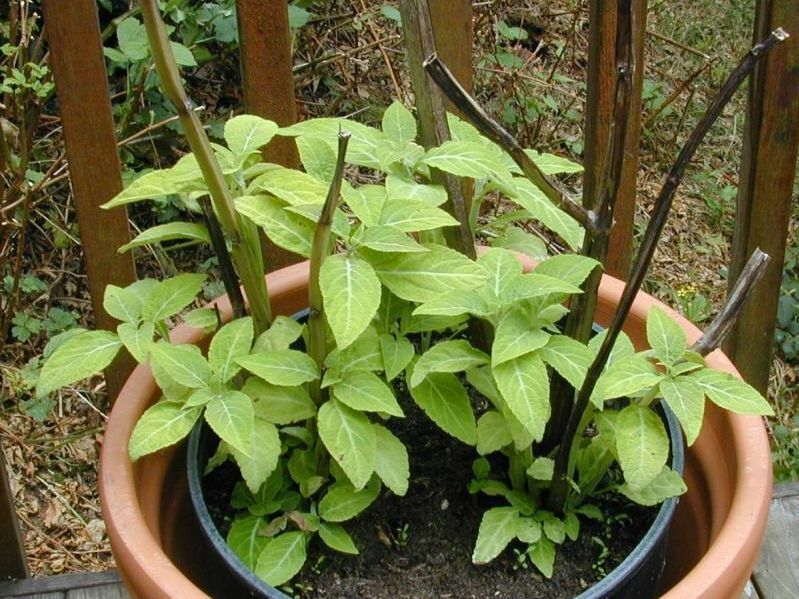 It's the chemical that gives the herb Salvia divinorum its hallucinogenic kick. My news peg at the time was not Miley Cyrus' experimentation with the drug, but a scientific paper evaluating the drug's toxicity. Turns out that if you can tolerate the intense hallucinations, the drug appears to be relatively harmless. Johns Hopkins School of Medicine researcher Matthew W. Johnson, the paper's author, said he didn't conduct the research to reassure Miley and her drug-dabbling friends about the safety of their fun and games, but because compounds similar to Salvinorin A might someday be used as therapies. That got me wondering just what kind of therapy it might provide. Salvinorin A activates something called the kappa opioid receptors. When turned on, opiod receptors are responsible for the high you get from drugs like heroin and opium. But opium and heroin work by stimulating the mu opiod receptors. The kappa receptors have been referred to as the mu receptors' evil cousin, because when activated they elicit depression. That's not a particularly desirable quality in a party drug, but potentially valuable as a therapeutic. How? A drug that activates the kappa opiod receptors might be used to control the mania of manic depression. Activating the kappa receptors also seems to eliminate pain. Find a chemical cousin of Salvinorin A that doesn't get into the brain, and you might have a powerful new analgesic. Someone sees potential in this approach. At least three patents have been issued on Salvinorin A-related compounds. Even though causing hallucinations is a drawback for Salvinorin A as a therapeutic, Bryan Roth sees it as a potential boon for neuroscientists. He's a pharmacology professor at the University of North Carolina. "One of the things that's interesting about drugs that are hallucinogens is they alter the way we see reality," he says. Studying how Salvinorin A affects brain circuits may provide clues about how the brain makes sense of the world. That's a question worth pursuing, in Roth's opinion. "What could be more important than how we view reality?"